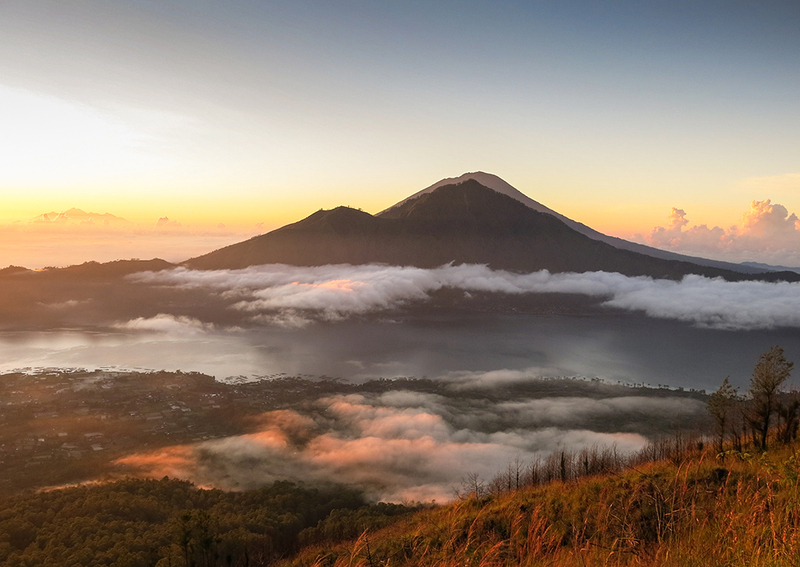 According to the Hindu believe, Mount Batur, an active volcano is one of the sacred mountains, stands at 1717 above sea levels and it is located in Batur village in the Kintamani region. 1. You like outdoor activities. 2. Have an average level of fitness without wanting to go to your physical limits. 4. 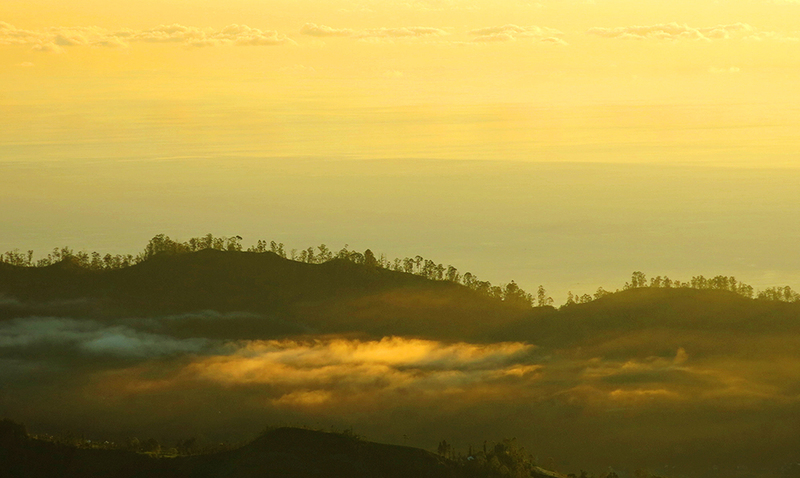 Or you are simply curious to explore new adventures and the natural beauty Bali has to offer. Our day started early, very early and the pick-up from Kuta was at 2 am in the morning. It took about 2 hours to get to our starting point. 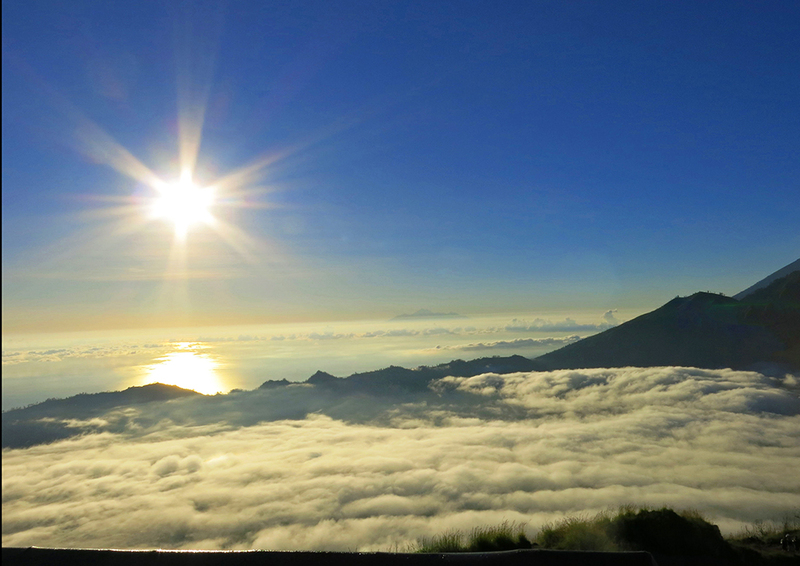 If you climb Mount Batur you will not be alone, so do not expect a “I am the only king of the world” moment once you get to the summit. If you want to be one of the first on top of the mountain, leave earlier, by 1 am, but in that case, you will have to wait for the sunrise in the dark and this means COLD, so do bring warm clothes and gloves. 1. Should I get a guide? – At Gunung Batur car park we met our guide and needed to register. If you booked with an agent, they will do the registration for you, which was our case. Not sure if they let you climb without a guide – to avoid any long discussions, we would recommend to just take a guide and go with the flow. 2. How much? 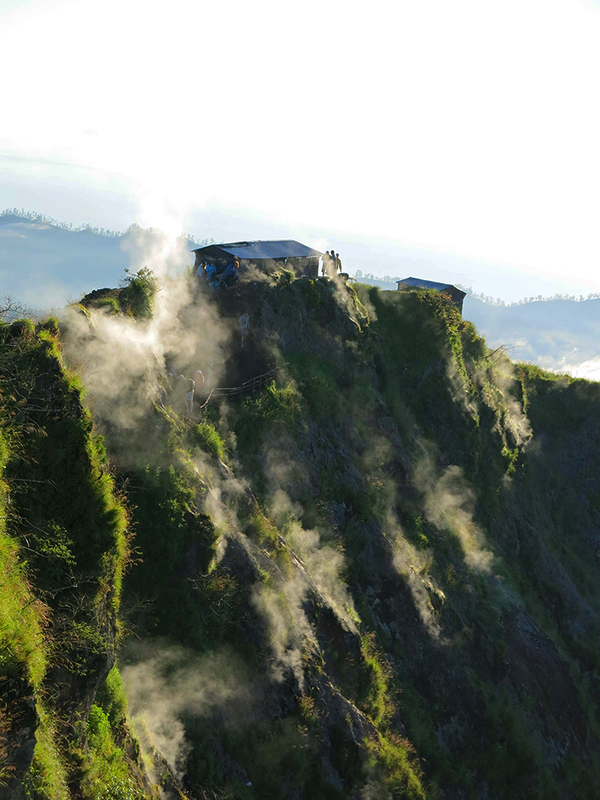 – The price for the trip was IDR 800.000 for 3 people (it varies of course, but this gives you an idea) and included the private transfer, registration and the guide until 1 pm. We had a good fitness level, but even If you are a person of average fitness the first part of the climb will be easy. Our guide had a torch, but we still recommend to bring your own to avoid stumbling in the dark. 3. Ask questions – Our guide started off very quickly and took the first break after only 20 minutes. Do not hesitate to mention to the guide if you do not need a break (trust us, the guides are very fit and they need far less breaks than you do) and ask questions about the terrain and everything you want to know. Many guides are happy to share information, but might not be assertive enough, unless you ask them and show interest. How to find a good tour guide? 1. Book through a reputable agency (some hotels have tour desks) and be careful with the small street agencies that drag you inside. They come across as very convincing and will surely tell you that their guides have done this trek many times before and that they are their own guides. From our experience we would say, the small street agents are organized and reliable (drivers were always on time and very polite), but do not necessarily believe if they tell you they know the guides personally, because often they don’t and also hire them through third parties, so be careful. 2. We would recommend you check Facebook groups, TripAdvisor and other social media platforms, because nothing works better than word of mouth. 3. Pay also attention if an agency does just sell the tour without warning that it depends on weather conditions if the trek will go ahead. 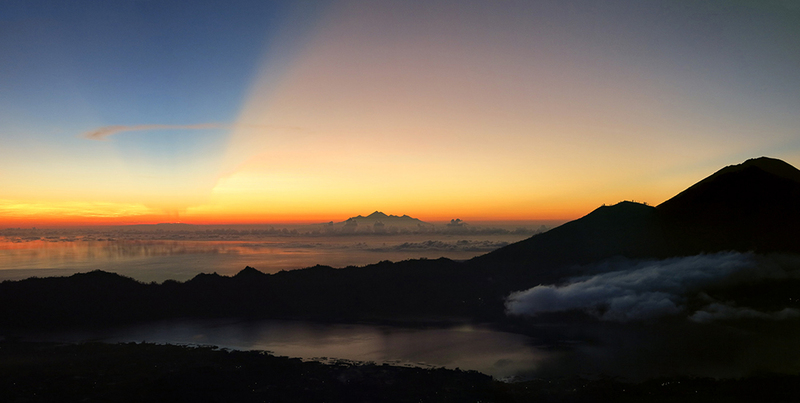 It was a beautiful clear night, we saw Lake Batur and admired the starlit sky. Just breathing in the fresh air, enjoying a beautiful walk, listening to silent whisper of the jungle, made the trip already worthwhile. 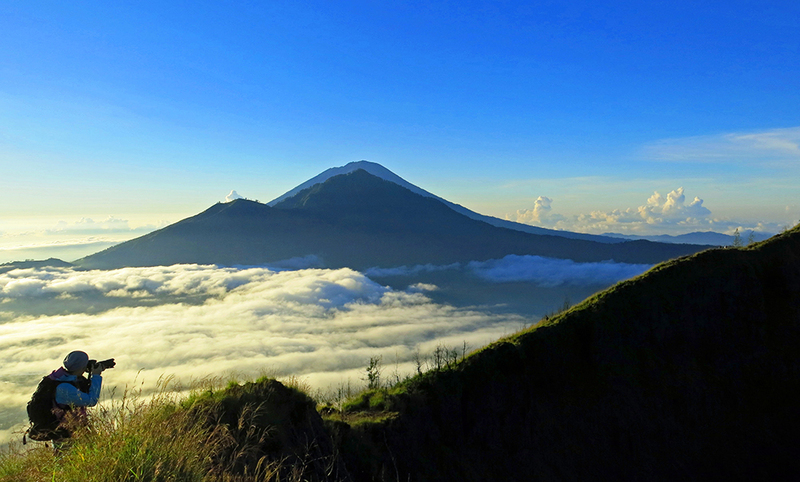 Mount Abang and behind Mount Agung and in front lake Batur. We are not professional photographers, but it is difficult not to make amazing pictures. We had our own drinks in our rucksack, but if you don’t want to carry heavy drinks you can buy drinks on the way, because there are catering guys carrying backpacks with drinks up the mountain. Once we got to the second part of the climb it got a bit steeper, we just walked more slowly and paid attention to where we put our feet. The average fit person will reach a small platform, which is not yet the highest point, in about 1.5-2 hours. Many people waited here for the sunrise, but we preferred to keep going to the very top which took another 30 minutes along a steep sandy trail and we would recommend it, because it was less crowded. The Mount Batur sunrise trek is not a “secret” trek for the people in the know, it is very popular among nature loving tourists and of course the Balinese were able to make a business out of it, so you will find a warung at the top where you can get hot drinks (IDR 50.000), as well as fried bananas (yummy) while you are waiting for the sunrise. Sitting there in the dark, being cold, hot drinks were more than welcome. Seriously, do not underestimate the cold at that time of the day on the top of the mountain and wrap up. 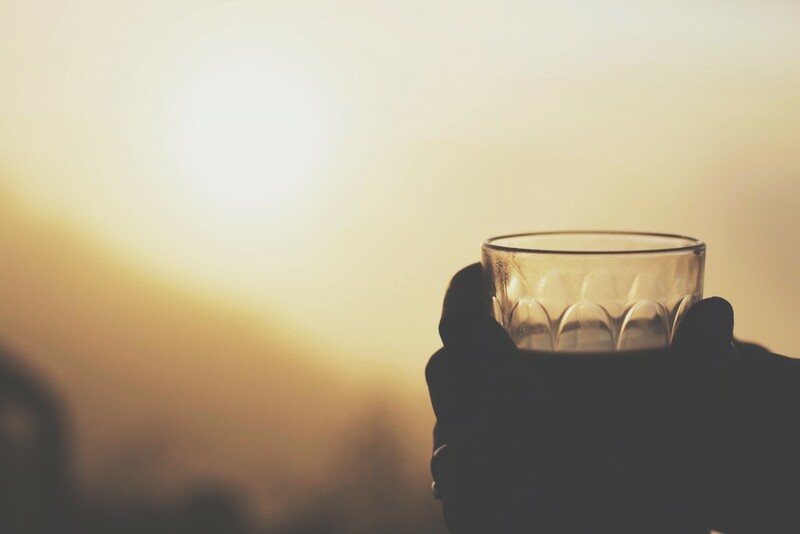 With a hot drink in our hand, glazing at the horizon, we were not disappointed when the sunrise appeared, it was absolutely breathtaking ! 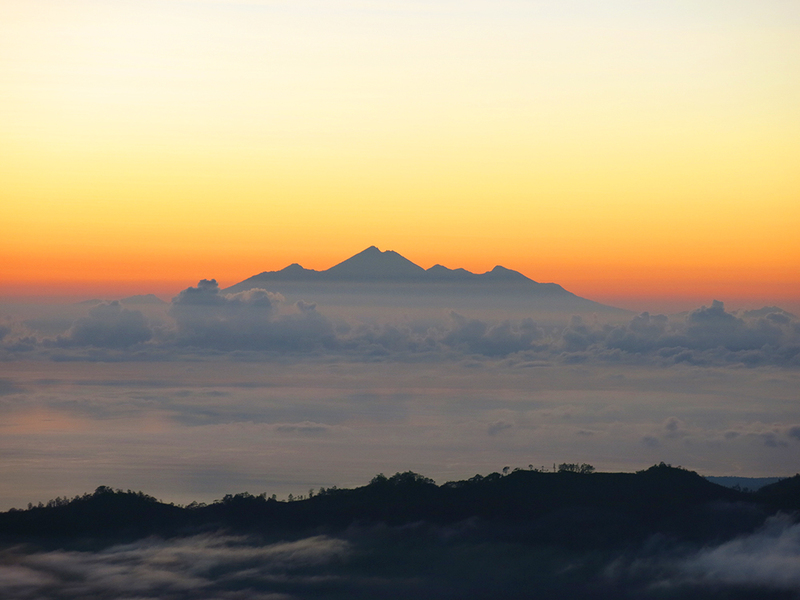 it was a clear day and we saw Mount Rinjani on Lombok island. 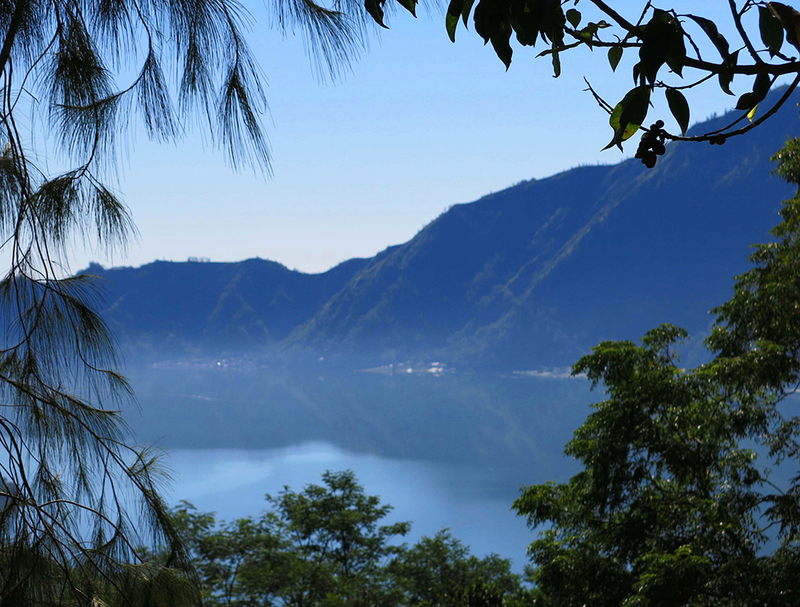 We admired the panoramic view over Lake Batur and Gunung Abung/Gunung. 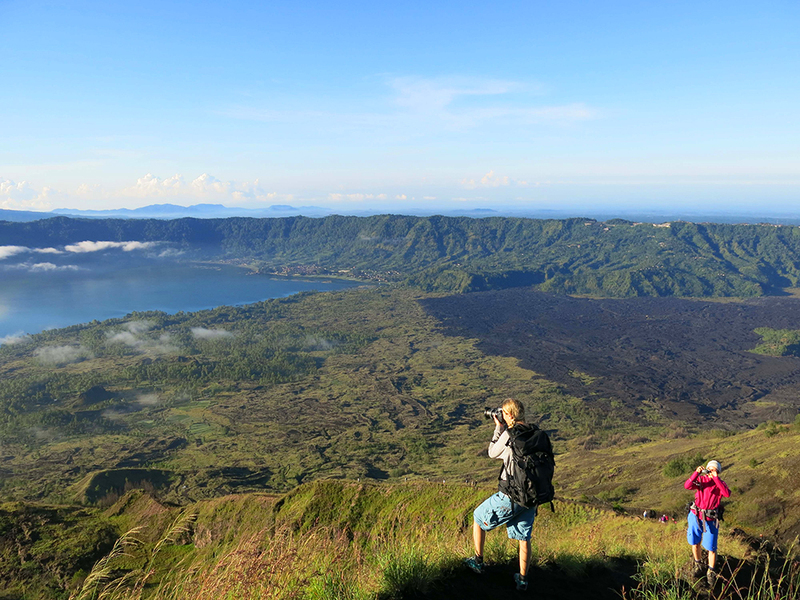 Photography passionates will have the time of their life on the top of Mount Batur and even us, not being professional photographers were in awe of our own photos we took. 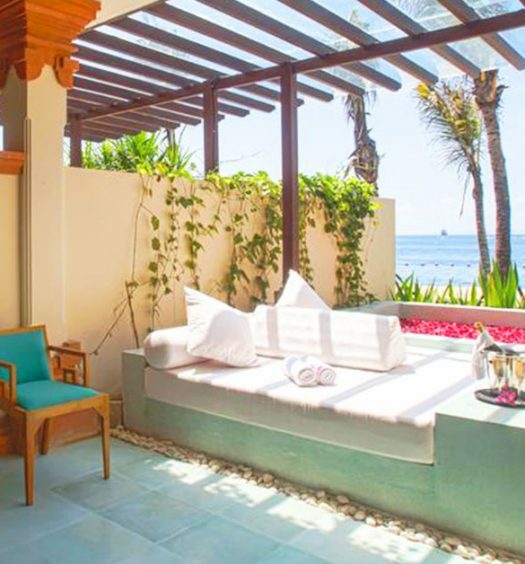 Bali is a popular destination for asian couples looking for pre-wedding photo lcoations. 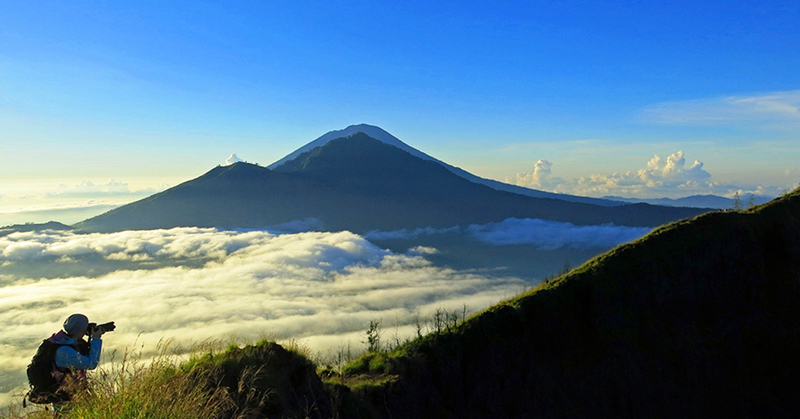 Have you ever thought about Mount Batur? Now, that I would call unique and so beautiful. With all those beautiful images in our mind and heart we made our way back via a narrow, scenic trail, which led us around the crater. And again, we could not get our cameras out fast enough when we saw the warm stream coming out from the walls of the volcano. We were still so much in awe of the natural beauty that we did not even mind that the descent took us a little bit longer, like 3 hours, because we walked around the crater first. Watch your step, stones and sand can make the way down a bit slippery. 1. Footwear – Wear comfortable shoes with a good grip. Especially for the descent you will appreciate if you have a good pair of trail shoes. 2. Clothings – You will go through different temperature changes and we suggest you wear clothes you can wear in layers and which are not too heavy. If you get some sweat absorbent clothes that would be even better, because when you start climbing you will sweat, but as soon as you sit down in the night for a break, it will be cooler and wearing sweaty t-shirts make it difficult to get warm again. 3. Bring a torch – a head torch would be ideal (some guides do provide them, so ask when you make the booking). 4. Bring a camera – it will be difficult not to make stunning images. 5. Food – If you want to save on drinks and food, you can of course avoid the warung and “ambulant” people selling them, by carrying your own food, but if you prefer to keep your weight down while trekking, spend a bit more on drinks, buying them from the sellers and keeping your rucksack light and save energy. You can of course also ask a guide to carry your drinks and food, but in that case you will surely also be expected to pay them a small token. 6. Tour guides – If you don’t want to drive yourself to the starting point and do your own registration, book via an agency, which we did. But be careful which agency you use. We were not happy with ours, because they seemed to have used guides through third parties and had therefore no guarantee for their professionalism. Ask for the name of the guide and his experience. If you need more technical guidance, we recommend that you organize a guide in advance and request what you need. The climb was physically not too challenging and we think anybody with a relatively good fitness condition can make it. The whole trip took us around 5 hours (2 hours ascent, 3 descent). Technically, walking on a trail (especially in the dark) requires caution. 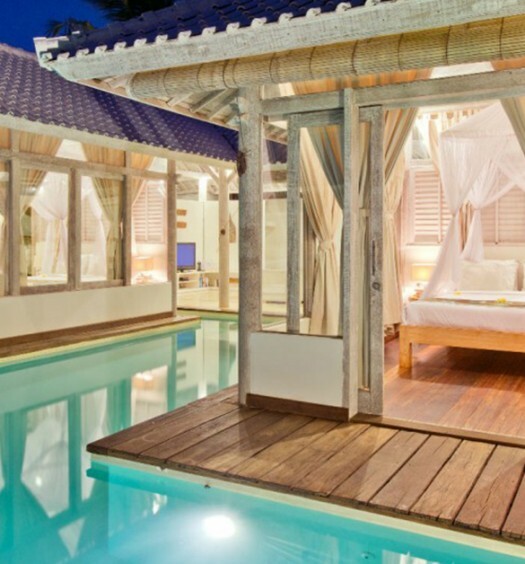 If you book with an agent, you don’t need to take care of transport and registration. The role of the guides on site is usually limited to take you up to the mountain and, if you want, carry food and drinks for you. The view is amazing on a clear day. 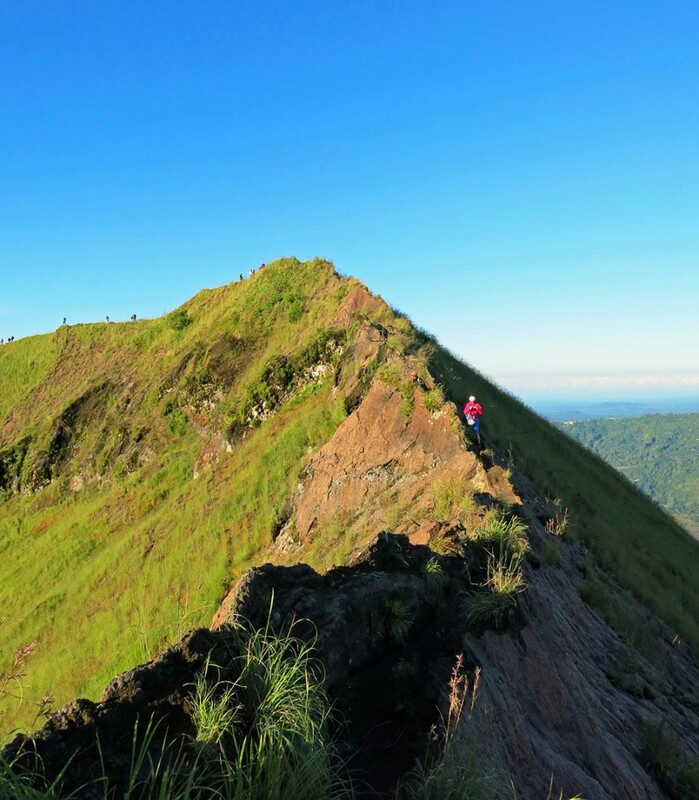 If you are ok with the fact that you are not the first and only person ever having set foot on Mount Batur and will be joined by some crowds, who share your excitement of this natural beauty, we say this trip is absolutely worth it.